As was the case with the RBHS Show Choir Festival and the varsity wrestling match Jan. 12, the spring club fair is the latest victim of inclement weather. The cub fair, originally scheduled to take place in the gymnasium tomorrow, will now take place Friday because of tomorrow’s late start, Betsy Jones, director of counseling, said. Administrators at RBHS, Gentry Middle School (GMS) and Jefferson Middle School (JMS) are coordinating to solidify the date. The club fair will start 9:30 a.m. and last until 2 p.m. During their visit, eighth-graders from the two RBHS feeder schools, GMS and JMS, will split into a number of small groups, Student Activities Secretary Hannah Casey said. Students will have the opportunity to speak with a student panel, listen to an enrollment presentation, go on a department tour and explore the club fair. As of 2:50 p.m. today, Casey said at least 20 clubs signed up to participate in the event. Casey and Inter Club Council (ICC) co-president Piper Page shared the link to a google form for club sign-ups with student leaders and club sponsors. When completing the sheet, clubs designated four members to represent their organization, two in the first session from 9-11:30 a.m. and two in the second session from 11:30 a.m. to 2:00 p.m. This way, Casey said, if students miss class, they will miss less content than if they were excused from 9 a.m. to 2 p.m. Just as student leaders sacrifice class time to make the club fair run smoothly, faculty and staff members will also be involved to keep the event on schedule. “I would say [the eighth grade visit and the club fair are] one of those that we’re all willing to make a stretch because these are our future freshmen,” Casey said. 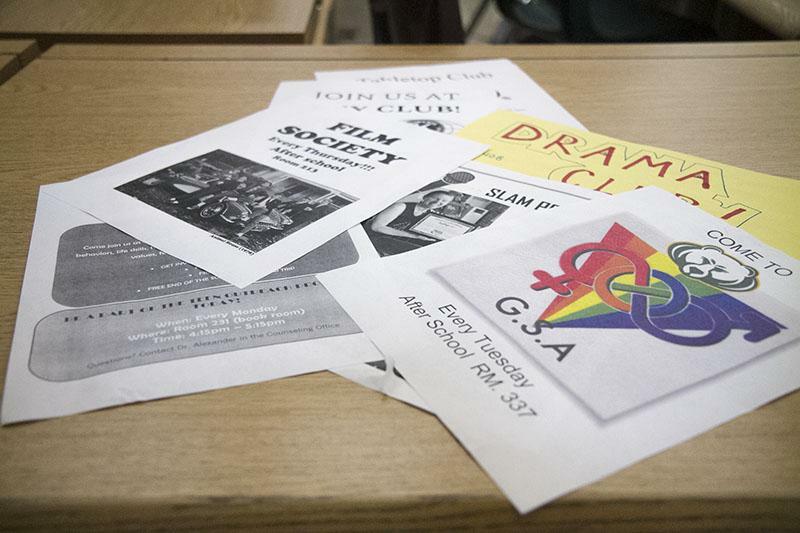 Organizations here plan to use the club fair as a way to promote their clubs and answer questions rising freshmen may have regarding how to get involved at RBHS. Sophomore Luke Gallagher, Key Club’s sophomore class representative, said recommendations from older Key Club members initially influenced his decision to join. Through the club fair, Gallagher hopes to establish a connection with the eighth-graders by talking with them about school and how they can participate in community volunteer work through Key Club. Participating clubs should plan to give quick and engaging presentations at the event to interest new members in joining. While she hardly remembers her first club fair experience in eighth grade, co-president of ICC senior Madison Hopper recalled the variety of opportunities clubs presented her with. Following the success of the first semester club fair targeted at current RBHS students, Casey said allowing incoming freshmen to see the variety of clubs students can join in high school in a low pressure environment allows people to straightforwardly become involved. Considering how overwhelming as the eighth grade visit and club fair experience may be for some incoming freshmen, Hopper recommended students bring a notepad to write down information about the clubs they are interested in. She said eighth-graders should talk to club leaders about how to become involved and to learn about what each club does. How have late starts affected you this semester? Let us know in the comments below.